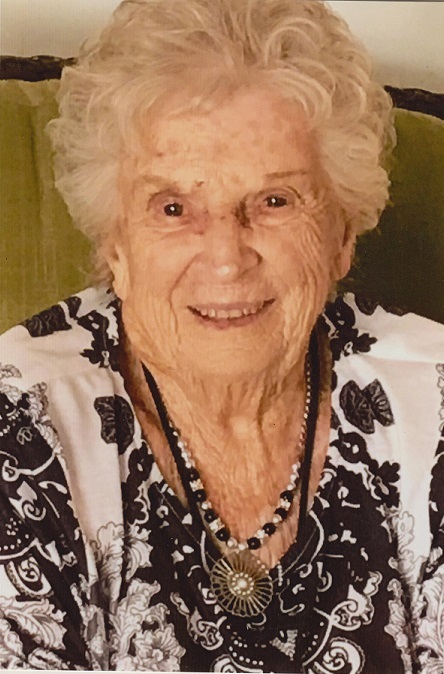 Norma E. Auger, 95, lived in Melvin Village, New Hampshire and Brooksville, Florida has passed away Monday, July 2, 2018. She was born in Lynn, Massachusetts to Ralph and Ellene (Phillips) McCollin. She lived in Melvin Village, New Hampshire before moving to Florida. She retired as the Director of School Lunch in Marble Head Massachusetts School Systems. She was a member of the Melvin Village Church and the “Hikers”. She will be dearly missed by her loving family and friends. She is preceded in death by her parents Ralph and Ellene McCollin, husband Richard Auger; sisters Shirley Rollo and Gloria Cross; son-in-law Robert Whitten, Sr.; granddaughter Debbie Whitten; cousin Gorden Lolhrok (Marie). She is survived by her two daughters Carol Whitten and Donna Gauthier; brothers Ralph McCollin, Jr. of New Hampshire and Richard McCollin of Massachusetts; grandchildren Robert and Brenda Whitten of Citrus Springs, FL; Kim Whitten of Phoenix, Arizona; Edward and Lee Allen of Adel, Georgia; James Bean of Melvin Village, New Hampshire; Jeanette Shaw of Spring Hill, Florida; Teddy Gauthier of Indiana; Laurie Stewart of Virginia; 11 great grandchildren. Funeral services will be held Melvin Village Community Church in Melvin Village. Visitation will be from 6:00 pm to 8:00pm Monday, July 9, 2018 at Lord Funeral Home, Ossipee, New Hampshire. Funeral service will be 10AM Tuesday, July 10, 2018 located at Melvin Village Community Church in Melvin Village, New Hampshire. Arrangements were entrusted to Turner Funeral Home in Spring Hill, Florida and Lord Funeral Home in Wolfeboro, New Hampshire.